It is easy to be misled by the name assigned to these types of ships. The tag ‘general’ conjures up an image of a non-descript ship with no real purpose. In fact, the reverse is true. A general cargo ship is extremely adaptable and can be used to transport virtually every form of dry non-bulk cargo, from railway lines to agricultural machinery. 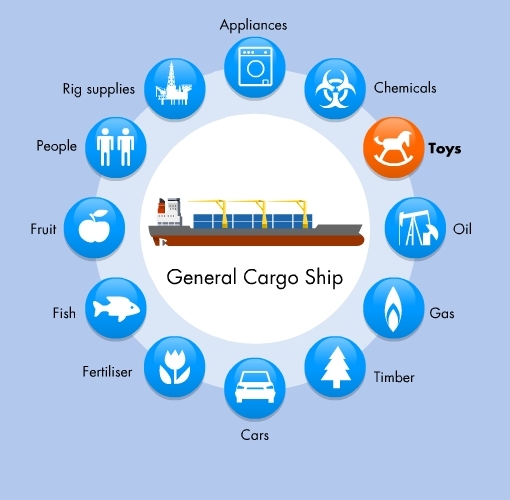 A distinct feature of general cargo ships is that they normally have their own gear, which means that these versatile ships can trade to smaller ports and terminals that do not have shoreside loading and unloading equipment. And while these ships are often employed with abnormal loads that other ships could not accommodate, in lean times general cargo ships can easily turn their hand to carrying containers, bulk or bagged cargo.